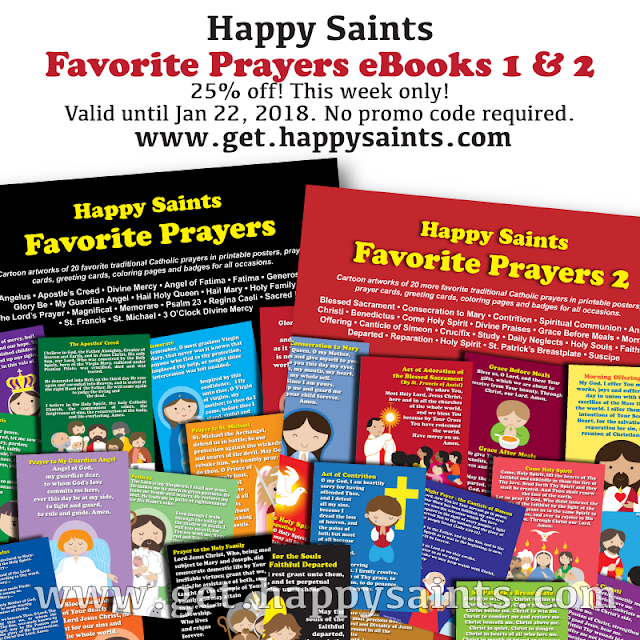 Happy Saints: 25% off Favorite Prayers eBooks 1 & 2! This week only! 25% off Favorite Prayers eBooks 1 & 2! This week only! This week only! Happy Saints Favorite Prayers eBook 1 & eBook 2 at 25% off. 25% off until 22 January 2018. Download the PDF ebooks now (no promo code required)!